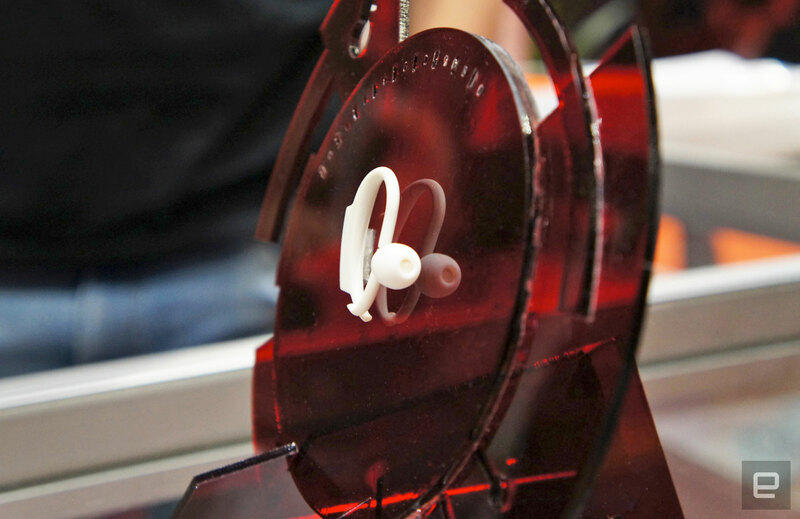 Degree sits in their ear like a hearing aid, but continuously monitors temperature. When little kids are ill, it's one of the least pleasurable experiences that it's possible to endure. After all, you're often asked to monitor their temperature on an hourly basis to keep watch for things getting worse. But the kids themselves are often too young to understand why you're shoving that big scary device in their ear. It's why so many companies have been looking for noninvasive ways to monitor a rugrat's vital signs. 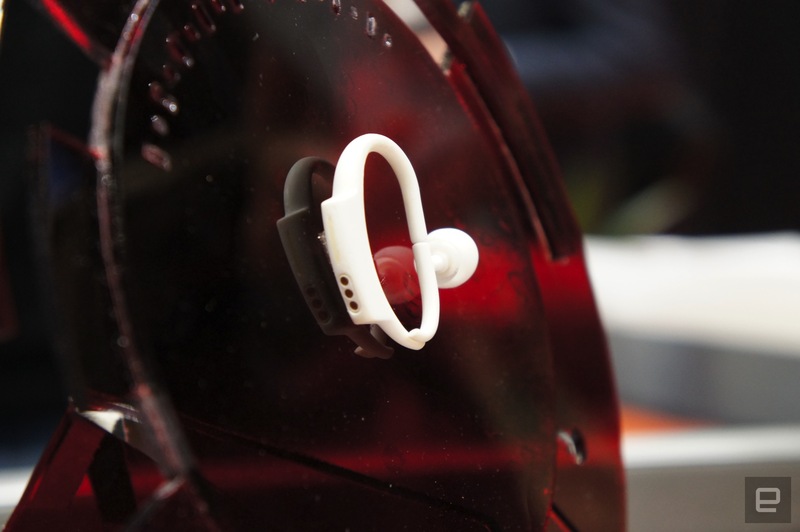 The latest to try is Cosinuss, the fitness monitoring company, that has built an ear-worn thermometer. The device, called Degree, looks more like a hearing aid than a thermometer, but uses the same inner-ear IR sensor as a medical tool. Rather than a bulky handle and a display, however, the system 's Bluetooth radio and battery simply sits behind the ear. From the data, your kid's vital signs are continuously transmitted to a nearby smartphone. So whenever your little one starts to get sick, you pop this in their ear as a way to making their lives a little easier. Should the wee one's condition get worse, the phone will alert you, enabling you to consult with a doctor. But the system will also do its best to avoid panicking you, letting you know when their fever symptoms are within acceptable limits. The app will also offer up useful tips on how best to care for a toddler with a fever and make their time a little easier. CEO and founder Greta Kreuzer conceived of the device when her daughter suffered from a febrile seizure. These seizures take place when a child's body temperature is raised to high levels without any underlying condition. She wanted to create something that could somehow help prevent such an issue in the future. While the idea of continuous temperature monitoring is certainly useful, we're not -- as yet -- sold on the idea of this as a solution. After all, sick kids rarely want you to play around with their ears and would likely rip this out in seconds. But if they did tolerate the device, it would certainly help many parents avoid a sleepless night or two. Should you want to try Degree out for yourself, you can pre-order it from Indiegogo right now, for €99 plus shipping. It's hoped that the device will begin journeying to your doorstep by May, giving you plenty of practice time before the dreaded flu season.